We all need a little bit of extra income from time-to-time and what better way than to use e-commerce? There’s no need for a physical store and you have the freedom to operate in many countries, and sell a variety of items – some without the need for you to hold physical stock, In this article we take an overview of what e-commerce is and how you can use it to make some additional income. If you want to run a business from home, there is one idea that should trump the rest, and that’s ecommerce. Before we get into why financially and logistically, this is such a smart move, let’s first establish what ecommerce is. E-Commerce is a company that sells something online. Yep, that’s all there is to it. Now, at this point, you’re probably thinking to wait a minute, that’s cheating, that could apply to any company. That’s not exactly true though because another type of business that you can run online is a company that provides info like a blog. You don’t get directly paid when you run a blog, so it’s not a service, and you’re not providing anything directly for money. E-commerce is better, it’s simple, and it’s somewhat easy to succeed here. So, let’s look at some of the basics of going into e-commerce and the info that you really need to know. Once we’ve discussed this, you should be convinced that e-commerce is the best home business decision. As already explained an e-commerce company can be used to sell absolutely anything which is one of the reasons why it’s so appealing. One of the simplest possibilities would be to set up an apparel wholesale store. The process here is simple. You buy wholesale goods in bulk at a low price and sell them on individually at a slightly higher price, thus making a profit. Alternatively, you can use your e-commerce business to offer something else like products that you make yourself. It gets a little more complicated as you need to take into account more costs to ensure that you are in fact at least breaking even with your business. Well, you do need a little knowledge of a supply chain model and make sure you understand how to get your goods to customer. Not only this, you need to know how to keep things efficient. If you thought that meant you needed to spend four years in college, you’re wrong. Supply chain management online programs will teach you all you need to know here and make sure that you do have the key info to succeed. The other big need is a site. But like blogs, these are easy to set up in the days of the modern online world. With tools like Shopify, you’ll be up and running in no time and ready to sell. It’s simple, you need to find your target audience and then market to them. If you don’t feel confident about your ability to do this, you will need to hire a marketing team or service. That will cost you a little extra, but it will also be one of the only costs that you’ll need to spend to make your business a success. You can also build up marketing slowly as your business improves it’s standing. 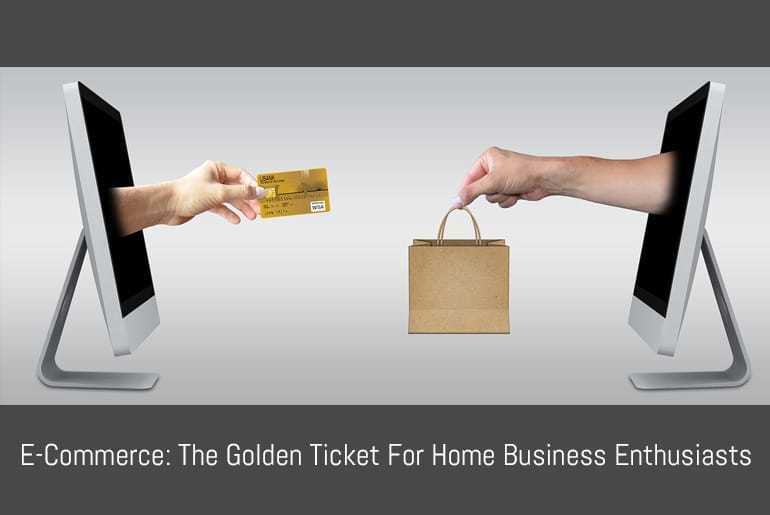 Like any business proposition, an ecommerce store is risky, but it’s the risk that you should take if you want to run a company from the comfort of your home because it really is the golden ticket. Please Note: This post may contain affiliate links. By clicking on these links you will not be charged any extra for purchasing goods and services from our preferred partners however flippingheck.com may receive financial compensation which contributes to the running of the site .